Since its announcement back in January, we've seen various snippets of what the Microsoft HoloLens can do. The holographic headset is minimalistic compared to the Oculus Rift and is more of an augmented reality device than virtual. With see-through lenses, users can observe holographic projections in a real-world setting. The headset features spatial sound, so even holographs behind users can be heard while advanced sensors pick up information from the surrounding world. 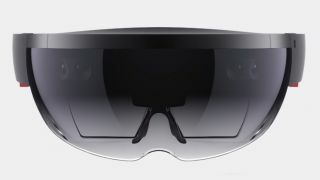 The HoloLens includes a CPU and GPU as well as an holographic processing unit, or HPU. It also won't need wires, external cameras, phones, or a tethered PC connection. Build 2015 teased us with more demos that we've decided to compile in one place so you can keep track of all the crazy fun the augmented reality headset promises to deliver when Windows 10 is rolled out, presumably on time, later this summer. Travel right in your living room? Here's 10 Microsoft HoloLens games and apps we want to see!